Rock’n’Roll, Albert Einstein and a passion for bubbles……. In the past decade, the rest of the world has finally caught up with what the French have seemingly always known. A large proportion of the coveted fizz sold in France are ‘Grower’ Champagnes rather than from the large, sophisticated Champagne Houses. They put much credence in the Champagnes that have the term ‘recoltant-manipulant’ on the label, for here are the wines that often offer better value and more personality. One of these producers is the Prat family. Since 1975, Alain and Yveline Prat have been working their vineyards and producing their own Champagne under the labels of Champagne Prat and Champagne Georges de la Chapelle. From a humble start of renting one hectare of vineyard in the Vallée de la Marne, this passionate family now own and work thirteen hectares in three different sub-regions in Champagne. After more the 30 years as winemaker, Alain has recently started working with his son Alexandre who joined him in 2015. 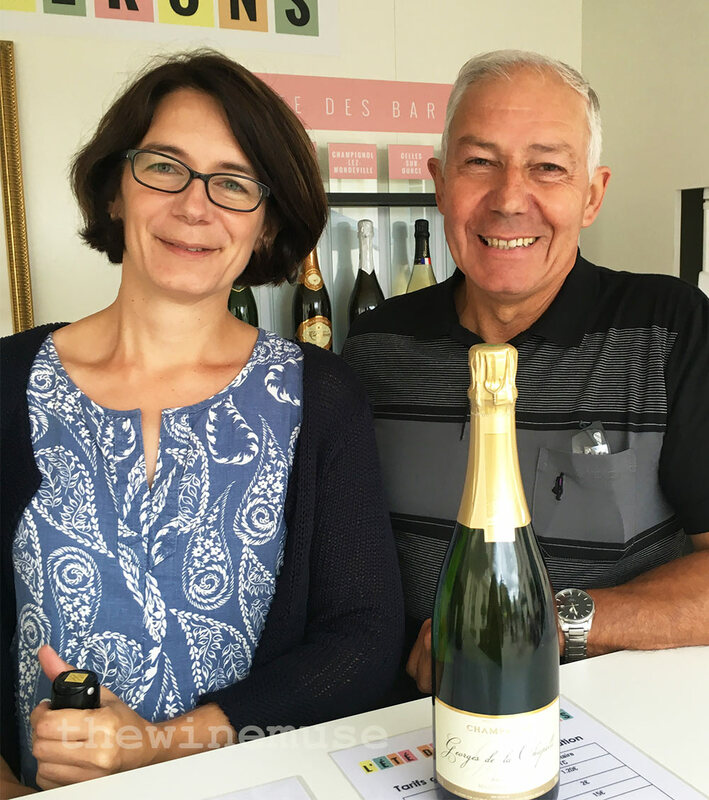 Alain and Yveline’s daughter Aurelia is also very active in the family business and I recently caught up with her and Alain at a pop-up tasting bar in Epernay over the Summer. Here, she not only gives us an insight into the 2016 vintage, but tells us the family’s story. One of romance, bubbles and rock’n’roll. What is the history of Champagne Prat? Our winery was started by my parents in 1975. They met while attending local Rock ‘n’ Roll dances and shared a passion for working in the vineyards. A year later they were married and working together. Both their families were wine growers and farmers in Champagne but did not have enough vineyards for everybody to work on. So, my parents started by renting 1 Ha in the Vallée de la Marne area and have been buying vineyards ever since to expand. As a newer winery, we have been able to find the best vineyards for each variety of grapes and are not restricted to one terroir. We now work on more than 13Ha in three different areas of Champagne (Cote de Congy and Sézanne, Vallee de la Marne and Cote des Bars) in 9 villages on 41 different plots. This can sometimes be challenging to look after but is so rewarding, as this gives us a great diversity of flavours to play with when composing our Champagnes. What varieties are planted the vineyards owned by the Prat family? Our vineyards are planted with the 3 main varieties of the Champagne region: Chardonnay (29,5%), Pinot Noir (42,5%) and Meunier (28%) so a good balance between all the grapes. We have a few ceps of Petit Meslier left in our vineyards in the Cote des Bars. What are your future plans for the brands; wines, vineyards, winery etc? We are always looking for new plots to add more diversity of flavours. This has allowed us to be, and continue to be, creative when blending our champagnes. We aim to remain a Recoltant Manipulant and independent wine grower. This is close to our hearts: our vineyards, our grapes and our wines. In the winery, as my brother is taking over, he will ensure our clients will still enjoy the same fresh and fine Champagnes but will add his own touch. Before joining us, he had been travelling all around the world for 17 years, so diversity doesn’t faze him. He has created his first cuvees this year and we will be able to have taste his first wines in 2 years’ time. In Champagne, change can’t be rushed and letting time do its magic is essential. What is the difference between the brands Champagne Georges de la Chapelle and Champagne Prat? The Champagne Yveline Prat was the first brand my parents created, it is my mother’s name. This is our traditional range which they have been perfecting for more than 40 years. We love the Assemblage (the blending). All of our Champagnes are a blend of different grapes, different “terroirs” (soils), different years. This is so much fun and almost magic when you create a delicious Champagne from so many different flavours. Our Champagnes under the Yveline Prat name are fresh and festive. At the end of the 1990s, my parents needed a new challenge and our English importer at the time was asking them for a new brand. Champagne Prat can be really catchy in England but not appropriate in some circles. They worked on a new range of Champagnes and in 2002 the brand Georges de la Chapelle was born. Georges was a great-uncle who didn’t have any children. He helped my parents by giving them the farm of La Chapelle and great advice which they have followed. For those Champagnes, we select our best grapes during harvest, work them carefully and leave the wines to age longer in our cellars. The wines of Champagne Georges de la Chapelle are elegant, more complex and meant to be shared with close friends. 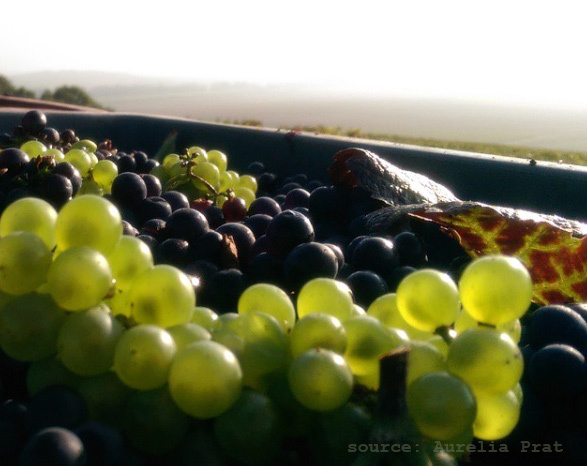 How have your winemaking processes changed from now to the past? It has changed in a way that now we are confident in the Champagnes we produce. Assemblage (blending) is the key for us with sugar levels we enjoy. We don’t try to follow trends. We now work as a family compared to just my parents 10 years ago. During the blending process, we all come together and everyone contributes. Each one of us has a favourite Champagne, as do those who drink our wine! Name up to five things that make ‘Champagne Georges de la Chapelle’ and ‘Champagne Yveline Prat’ so special? Diversity: The great diversity of terroirs (soils) gives us so many different flavours to play with. This is something quite unusual for a wine grower in Champagne as many will have a historic link to one village in particular. 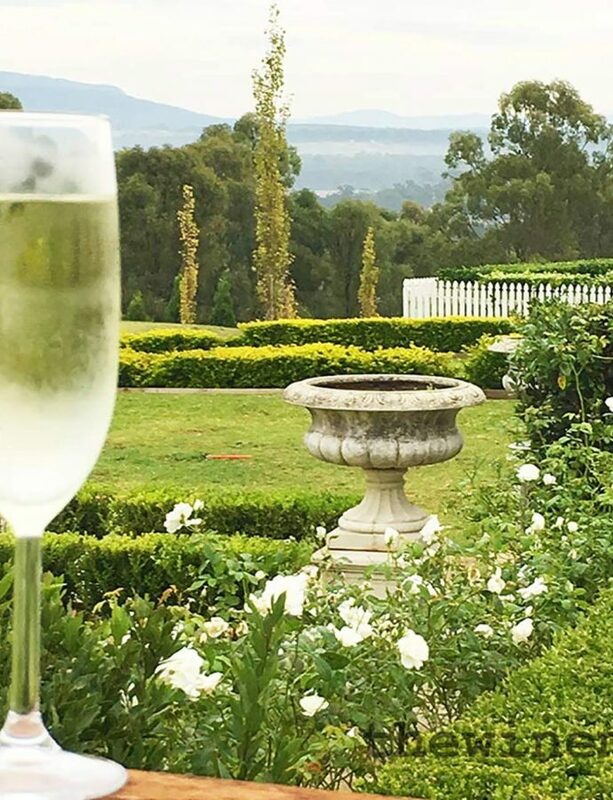 Joyfulness: We are pretty lucky as when our clients come to visit us or drink our champagne, this is to celebrate a happy moment of their life, big or small. So we try to create joyful champagnes that will be part of those great moments. Love: because without love our Champagnes would not have existed. My parents Yveline and Alain have been together for 41 years and worked together all that time as equals. Few would have given the name of their wife to their Champagnes like my dad did and few would have followed the dreams of their husband like my mum did. This is pretty special for me. Uniqueness: when you taste a Champagne de Vignerons (wine grower), each one is unique. We are artisans. Our vineyards, our work all year round, our wine-making processes are all different and that creates special Champagnes. With so much choice among these small, hand crafted Champagnes, you will find one for you, that you will relate to and enjoy. And hopefully it will be one of our Champagnes …..
Open to the world: Even though I work with my parents every day, I live in London and my children were born there. My brother spent 17 years flying around the world from Canada to the Middle East before joining us. So we are both open to new cultures, new tastes and different foods. And this is this openness to the world that we try to reflect in our Champagnes too. How has 2016 vintage looking for you? It is still too early to judge the end quality of the wines from 2016, but, it looks much better that it did just a week before the harvest. 2016 has been a difficult year in the vineyards: frosts in May in our vineyards of Cote des Bars reduced the yields by 30 to 80% there depending on the plots, rain over the flowering period also damaged the grapes and then we had to face one of the strongest mildew attack in years. So, we were not feeling optimistic in terms of quantity. For quality, you can only judge once the first juices are pressed. But Nature did well in the last few weeks before harvest and like many other wine growers we were surprised by the quality and quantity (apart from those touched by frost) of the grapes. We just have to let the wine age in the cellars to assess their full potential. Which vintage so far has been the most memorable for Champagne Prat? Why? Not an easy question as every vintage has its particularity and story. For my brother it is 2015, the year of his first cuvees. For my parents, it would be the vintages at the beginning of the 80s. They had a few consecutive years of poor yields and it was very challenging for them as the winery was only starting. But it gave them great lessons for the future: working with Nature can be hard, challenging and you should never take anything for granted but when exceptional great years happen enjoy them to the full! The holiday season is coming up: What will be on the Prat Family table this year? Champagne of course! But we will also open a good magnum of Pessac Leognan with tournedos or the cheese platter and we have recently discovered the wines from Marie-Thérèse Chappaz from the Valais region in Switzerland which we will pair with our oysters. If you had the opportunity to drink a wine with any historical figure, who would it be and what would you be drinking? I would love to share a bottle with Albert Einstein because he always had those sparkling eyes in the pictures and he was always bubbling with new ideas. Which wine? Our Champagne Georges de la Chapelle Nostalgie as even if it is a blend of old vintages it is incredibly fresh and elegant, quite unconventional. What would you talk about? His capacity to think out of the box and to believe in his ideas when they went against everything everyone else thought was right. If you live in France, UK, Netherlands, Denmark, Italy, Belgium, Poland, Spain, Mexico, Costa Rica, New Caledonia and Singapore, you should be able to find one of Champagne Prat wines.